Combine sticks in three sizes, along with curves for making circles and cylinders, with two different types of connectors to build 2-D shapes. 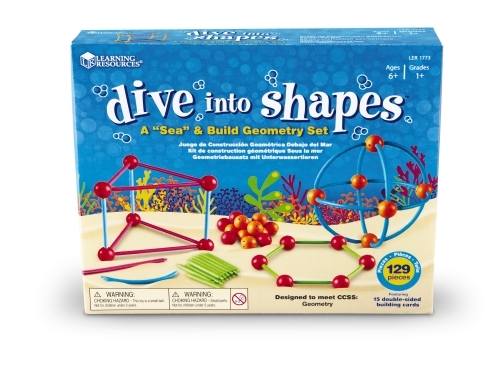 Then combine them to make new 2D shapes or even 3D shapes! This hands-on set features durable sticks, curves and connectors. 15 double-sided Activity Cards (30 activities).